This ceremony explores the female experience at the Auschwitz-Birkenau extermination camp as expressed by women who were inmates there in 1944. 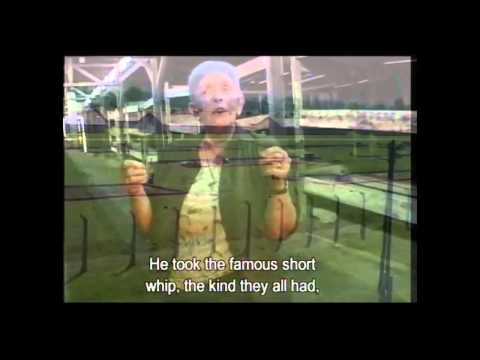 While there are many commonalities in the male-female prisoner experience at Auschwitz-Birkenau, from selection through forced labor, there are also many aspects of the prisoner experience that were unique to women. The words and feelings of women who survived are highlighted in this ceremony. Lengyel, Olga, Five Chimneys, Academy Chicago Publishers: 1995, p. 227. Isaiah, chapter 56, verse 5. The testimony of Betty Parkal, Yad Vashem Archives O.3/6394, Jerusalem: 1990, pp. 60-61. The testimony of Lea Kahana-Grunwald, Yad Vashem Archive O.3/11914, Jerusalem: 2000, p. 23. The testimony of Laura Varon, Yad Vashem Archives O.3/10423, Jerusalem: 1996, p. 19. The testimony of Feige Serl-Lax, Yad Vashem Archives 0.3/11009, Jerusalem: 1995, pp. 22-2. The testimony of Tova Berger, Yad Vashem Archives 0.3/10839, Jerusalem, p. 11. The testimony of Yehudit Rubinstein, Yad Vashem Archives O.3/4483, Jerusalem: 1984, pp. 15-16. Lengyel, Olga, Five Chimneys, Academy Chicago Publishers: 1995, p. 116. The testimony of Lea Kahana-Grunwald, Yad Vashem Archives O.3/11914, Jerusalem: 2000, p. 28. The testimony of Yehudit Rubinstein, Yad Vashem Archive O.3/4483, Jerusalem: 1984, p. 49. The testimony of Lea Kahana-Grunwald, Yad Vashem Archive O.3/11914, Jerusalem: 2000, pp. 24-25. The testimony of Betty Parkal, Yad Vashem Archive O.3/6394, Jerusalem: 1990, p. 78. The testimony of Miriam Buki, Yad Vashem Archive O.3/5587, Jerusalem: 1989, p. 33. The testimony of Yehudit Rubinstein, Yad Vashem Archive O.3/4483, Jerusalem: 1984, p. 68. Materials needed for this ceremony: copies of passages to be read aloud (those below), distributed by the facilitator to the students. We recommend choosing two narrators and eight readers. The narrators will read all explanatory texts, whereas the readers will give voice to pieces of certain women's testimonies. Appropriate music for the ceremony, such as classical compositions, can help create a suitable atmosphere. Women and men had different experiences during the Holocaust. This ceremony focuses on the difficult situation of women in the Auschwitz-Birkenau concentration camp. The journey to and arrival at Auschwitz-Birkenau was, in most cases, the last stage when husbands and wives, parents and children, brothers and sisters were together. 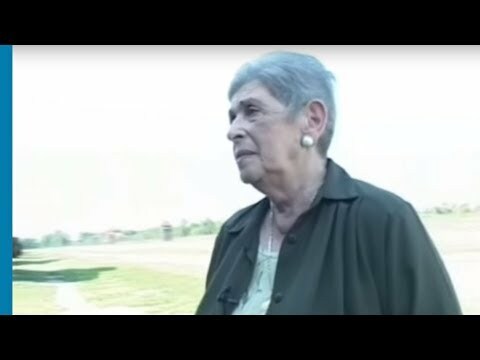 In her testimony given to Yad Vashem, Betty Perkal describes her arrival at Auschwitz. On their arrival at the Auschwitz-Birkenau extermination camp, men and women were divided into two separate lines. As they stood there, the selection began. In her testimony, Laura Varon, a Jewish woman from Salonika, Greece, describes the selection process, and the "choiceless choices" that she and her sister had to face. Feige Serl-Lax faced the same dilemma. Alone in the horrible chaos of Auschwitz, she and her sister had to decide what to do with her sister's young children. The "Sauna" was the first stage of the de-humanization period, where newcomers began the registration process. They were stripped of their clothes and made to feel like a number instead of a human being. They were showered, disinfected, shaved, tattooed, and given a prisoner uniform and wooden clogs. In her testimony, Tova Berger talks about the humiliation and shame that she felt during her passage through the "Sauna." Yehudit Rubinstein shares her horrific experience. What happened to women who arrived at Auschwitz-Birkenau pregnant? Some women were able to hide their pregnancies when they entered the camp. Later, when they gave birth, they were faced with a terrible choice: either they could kill their newborn infant and ensure their own survival, or sentence both themselves and their child to death. Judith (Yehudit) Rubinstein describes in her testimony how another woman planned to kill her baby by giving it aspirin, a drug not intended for such small babies. After the war, survivors were in shock. They had lived through horrifying experiences and were left alone in the world. Many did not know for many years what happened to their families. Betty Parkal expresses her complete loss after learning that she is all alone. The Holocaust left an indelible mark on the survivors. 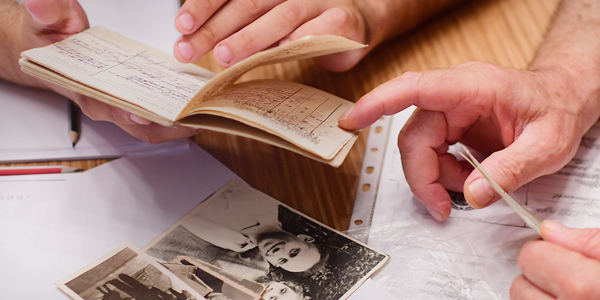 The trauma experienced by those who were subjected to the Nazi regime was so great that it remained with them and continued to accompany them throughout their lives. In many cases, it was also passed on to the second and third generations. Despite the remarkable return of these survivors, who established new families and returned to life after the war, the pain of losing family members never left them, even after they managed to build new lives and a future generation. Miriam Buki talks about life after Auschwitz. We conclude with the words of Yehudit Rubinstein, who speaks about the importance of education in trying to prevent events like this from ever occurring again.